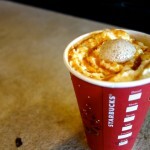 Spoon takes a coffee break at Norbucks as new holiday drinks hit the menu. Joanne Lee asks Northwestern students about Starbucks specials that spice up their winter daze. The post Northwestern’s Favorite Starbucks Holiday Drinks appeared first on Spoon University.